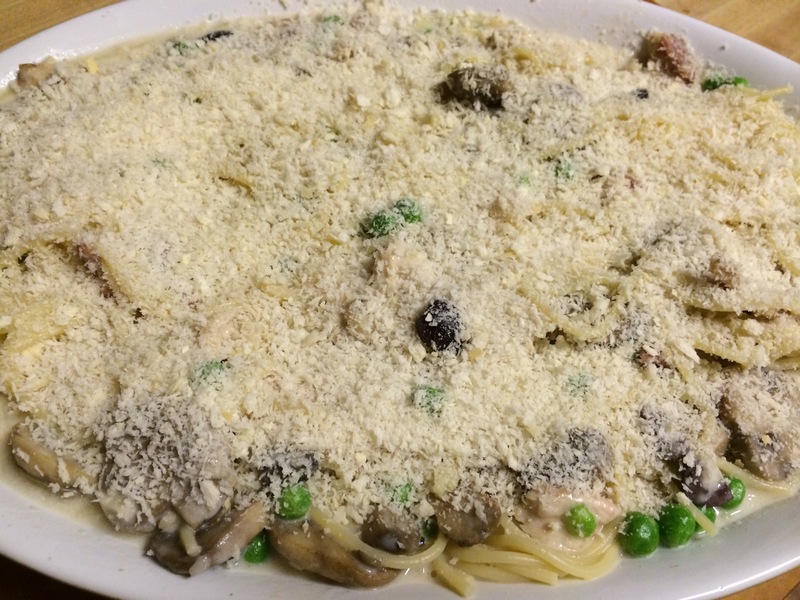 Typically turkey tetrazzini brings to mind a creamy pasta dish, but perhaps one that is a little bland and unexciting. 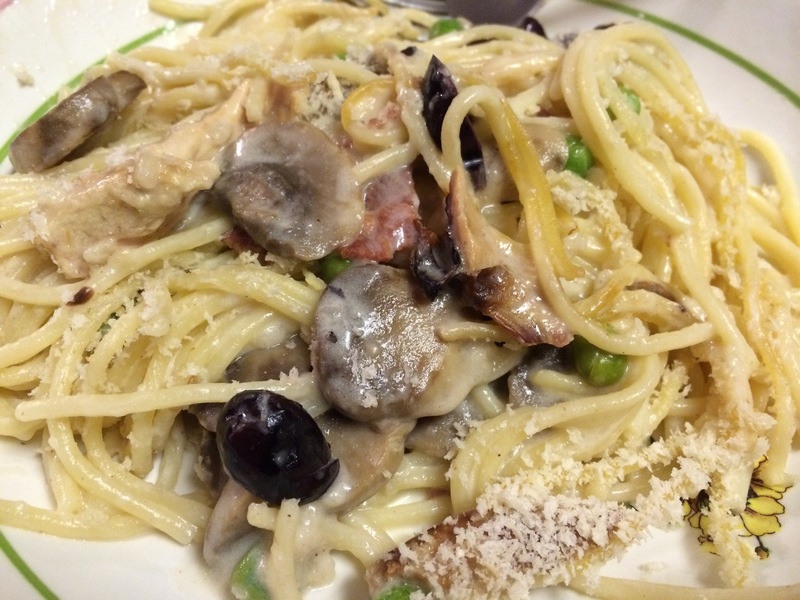 Not so this tetrazzini. Creamy, yes, but it is loaded with flavor, downright delicious! This is a perfect way to totally repurpose leftovers into a brand new star dish. I would almost consider making turkey just to make this. It makes a lot, so we ate it for two nights, once just us, the other with company – great reviews both nights. Cook pasta until al dente (it will finish cooking when added to the rest of the ingredients). Drain, rinse, and set aside. In a dutch oven, heat butter over medium-high heat. Add garlic and saute for a couple of minutes. Add mushrooms and salt, then saute for a couple more minutes. Pour in the wine and cook with the mushrooms for several minutes, until the liquid reduces by half. Sprinkle in the flour, then stir the mushrooms around for another minute. Pour in the broth and stir, cooking for another few minutes until the roux thickens. Reduce heat to medium low. Cut cream cheese into pieces and add it to the pot. Stir it to melt (give it the time to melt, don’t rush). Add the turkey, olives, peas, turkey bacon, and the cheeses. Stir to combine, adding salt and pepper as needed. Add the cooked spaghetti and stir it to combine. Add more broth as needed; you want the mixture to have a little extra moisture since it will cook off in the oven. If it’s a little wet, that’s fine! Add up to 2 more cups of liquid if you think it needs it. Pour the mixture into a large baking dish and sprinkle the top with Panko crumbs. Bake at 350 degrees F for 20 minutes, or until the casserole is bubbly and the crumbs are golden brown. Serve and enjoy!